Rustico da Vinci is a lovely apartment in a rustic house. 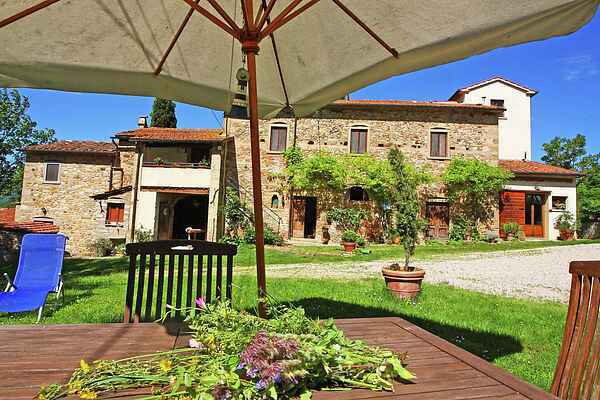 The owner has a farm nearby Anghiari, one of the most beautiful hamlets of Italy. The house is in a beautiful hilly landscape between the River Arno and Tevere. The house is rustic Tuscan style and is very atmospheric. The apartment is on the first floor and on the ground floor is another apartment for tourists. The owner has an olive grove and you can buy delicious olive oil from the owner. There is a communal garden and a terrace where you can eat or read a book. Anghiari has a high city wall and in 1140 there was a major battle took place. Leonardo Da Vinci is a fresco made of this event. One of the most beautiful squares of Anghiari is the Piazza del Popolo. In this square is his Praetorian Palace and the Antico Rocca .. Around Rustico Da Vinci its churches, castles, monasteries and hills and forests. The area is known for its historical traditions and folklore. Enjoy a wonderful holiday in Rustico Da Vinci.